A new method of public literature distribution (with utility bills, at garden centers, at public events, etc.) was developed and implemented successfully. An interpretive program such as a walking tour of outstanding trees for community planting, an arboretum, a heritage tree program (largest, historic, etc.) or similar project was first made available to the public or was significantly improved. A recognition program with awards to citizens, commercial enterprises, neighborhood associations, other citizen groups, etc. for such things as best landscaping, tree planting/care projects, etc. was initiated or significantly improved. 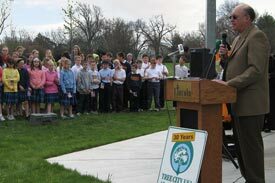 An ongoing publicity campaign for tree care and community forestry was initiated or significantly improved, for example a weekly newspaper column by the city forester or tree board, or a community-wide newsletter about trees. 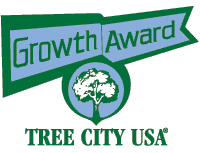 A comprehensive safety program for city tree workers was initiated or significantly improved that goes beyond formal training to include such methods as daily warm-up exercises, wellness programs, safety newsletter, etc. An activity specifically designed to gain publicity for the community forestry program was initiated or significantly improved.